I still remember back when the Carlsbad Premium Outlets were the only outlets in San Diego county. My family would drive from Tijuana all the way up to Carlsbad in order to score some great deals at the factory stores, the trip would often take 3+ hours since the line at the border were ridiculously long in the 90's. Back then you had a decent selection of store such as GAP Factory and Banana Republic, but the Carlsbad Premium Outlets have really stepped up their game since then. If you're a beauty fan like myself, then this is the place to come splurge and save some money. I'm talking big luxury brands like Tom Ford, Lancôme, Estée Lauder, Bobbi Brown, and YSL for 10-30% off! That's way more than waiting around for a Sephora VIB sale and these deals can be found everyday. The first place I highly recommend visiting when you go to Carlsbad Premium Outlets is The Cosmetic Company Store which carries brands under the Estée Lauder umbrella. This is the famous store than everyone on YouTube used to rave about back in 2008/2009. The store is still around at various Simon Premium Outlets locations including at Las Americas Premium Outlets, and to be completely honest it's a whole lot better now than it used to be back then. The Cosmetic Company Store still carries MAC but it also carries high-end brands such as Tom Ford, AERIN, and even Bumble & Bumble. A lot of the products in the store are from past collections, but you'll also be able to find a few permanent items at lower prices such as foundations, blushes, and perfumes. 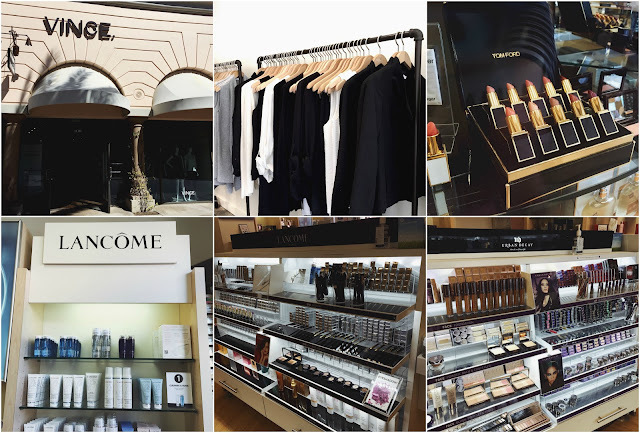 The second store that I highly recommend visiting is the Luxury Beauty Store which is where you'll find high-end brands owned by L'Oréal such as Lancôme, Urban Decay, YSL, and Kiehl's. This store is literally a few feet from The Cosmetic Company Store so you can't miss it! When you walk into the store you'll be greeted by skincare products and on the back you'll see makeup counters like you'll see when you go to Sephora. Unlike The Cosmetic Company Store, the Luxury Beauty Store doesn't have a special price for everything in the store but I would say that around 70% of the store does have some sort of discount. Here you'll find some recent palettes from fall/winter collections and a much wider selection of foundations shades, lip products, and eye products. Here's a little glimpse of what you can find at the Carlsbad Premium Outlets if you're into luxury brands. For the minimalists, there's Vince which was having a terrific sale! All their sale items had an extra 60% off which was incredible. At The Cosmetic Company Store I stumbled upon the dreamy Tom Ford Lips and Boy set which was around $225 and made me weep internally. And I also took pictures of the makeup counters inside the Luxury Beauty Store. Here's my beauty haul from the Carlsbad Premium Outlets! Sometimes both The Cosmetic Company Store and the Luxury Beauty Store have special promotions going on which will allow you to save even more money. 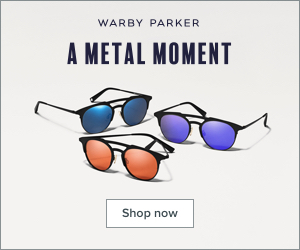 I would advise you to call or visit the stores to inquire about the special promotions and to find out when new merchandise is arriving to the stores. And to stay on top of the Carlsbad Premium Outlets news, you can follow them on Instagram, Twitter, or Facebook. What is your favorite outlet store to visit? Let me know in the comments below! Disclaimer: Carlsbad Premium Outlets kindly gifted bloggers a gift bag with coupons, promotional items, and a gift card.